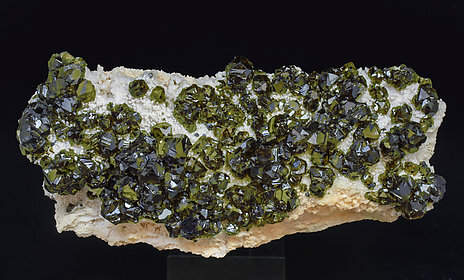 Group of bright, transparent crystals of Sphalerite with the greenish color that characterizes the variety cleiophane. With small cubic crystals of Galena and groups of small, very bright, crystals of Quartz. 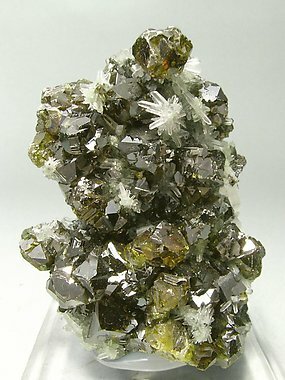 Group of complex Sphalerite crystals on a Calcite matrix. They are transparent, extraordinarily bright and have the intense greenish color that characterizes the cleiophane variety. Of the best quality for the locality.